Actually Alok, Asim is correct in his article. The correlation coefficient of your x and y is .975, I got the same result whether calculated by hand using the Pearson formula or calculated using R's cor(). Just because each y is a multiple or square of its corresponding x doesn't mean that it isn't estimable by a linear equation, or that they don't co-vary. In the case where you have truly nonlinear data, you can use other non-Pearson correlations such as Kendall's Tau, or Spearman's equations. Correlation is also about covariance, how much the two things vary together. As x changes, y changes and they do so together within the limits of the observation. 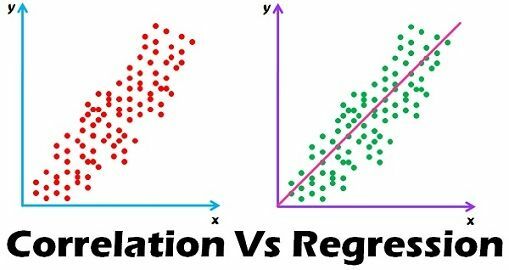 Regression demands linearity, correlation less so as long as the two variables vary together to some measurable degree. Very effective comment. See my below comments. Two variables are said to be "correlated" or "associated" if knowing scores for one of them helps to predict scores for the other. Capacity to predict is measured by a correlation coefficient that can indicate some amount of relationship, no relationship, or some amount of inverse relationship between the variables. From above comments, your point is correct. But your it can't be mixed up with comparison. "Correlation coefficient indicates the extent to which two variables move together." - not really. Illustration - x (1,2,3,4,5,6,7,8, 9) and y (1,4,9,16,25,36,49,64,81) - x and y here move together. But what is the correlation coefficient? Even a Statistics Graduate passed out from the best of the colleges tend to say there is perfect correlation between the two. Actually not ! There is no correlation between the 2 variables. Don't you believe me? Calculate the Corr Coeff and what you will get may surprise you. Correlation Coefficient shows the extent to which they are "linearly" related ie the relationship between the two variables can be in expressed in the form of a straight line. Correlation is just a step on the way to regression.